SSHH…WE KNOW THAT YOU DON’T KNOW. GAME-CHANGING RETAIL INTELLIGENCE. FOR THOSE WHO WANT TO KNOW. Know your point-of-purchase customers, make the right product decisions and increase your profitability. 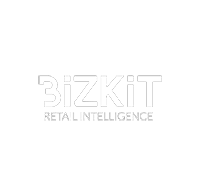 Bizkit gives you all the information you need: who is buying, product preferences and buying frequency. First-hand logistical information is crucial to your sales figures, and now it´s available to you. Never be guessing again. Bizkit provides you with exact data on cooler unit sales and refill needs, so you will always be up-to-date.